Ah, spring is in the air. It’s the time of year cool-weather clothes are put away, and fresh, warmer air is a much-welcomed reprieve after cold winter months. During the springtime months, we tend to head outdoors more and spend less time inside. It’s also the time of year when we breathe new life into our homes and outside living spaces. With all the new changes going on, it’s a great time of year to consider offering services that help homeowners and busy parents make the most of the warmer weather. It’s a good idea to take stock of what you own at least once a year. You can decide to donate, keep, or sell items based on how often you use them. A good rule of thumb, according to Good Housekeeping, is to donate any articles of clothing that are in good shape and haven’t been worn in 18 months or more. Old, ripped, stained, or tattered clothing should make their way to the trash. Housewares, electronics, toys, and other goods that still have a lot of life in them but aren’t being used by you, can be sold at a flea market or garage sale. When done right, a garage sale can earn you a quick $500 to $1,000 — just for stuff that would otherwise sit in your house collecting dust. If garage sales aren’t your thing, that’s okay. 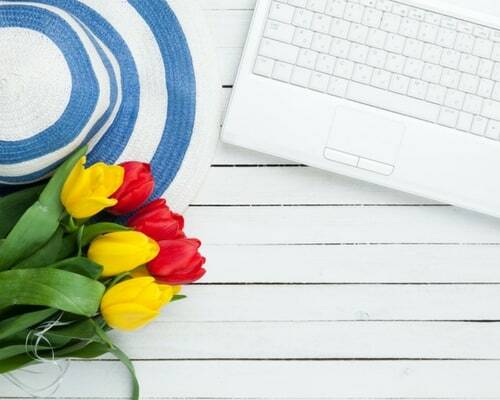 Today, there are more than 100 online platforms you can use to sell your stuff and make some extra cash this spring! Once you’ve cleaned out your own home, consider offering similar services to others who want to clear the clutter this spring but don’t have the time or know-how to get it done. There’s a lot that goes into throwing a successful garage sale. Market yourself as a professional garage sale organizer or offer haul-away services for homeowners with large items that need to be removed. You can also look into becoming a professional organizer. Professional organizers can help people make sense of their stuff and create systems to help keep things in their proper places. Another way to earn a little extra this spring is by simply offering spring cleaning services like a deep house scrubbing, window washing, or a garage clean out. Have days off? Nights free? Weekends to fill? Consider offering childcare services in your spare time. Springtime is when many of us start spending more time out and about. Busy parents may need an extra hand to watch little ones so they can take care of their spring to-do list. And, let’s not forget about spring break! School-age children often get a week or two of school-free days in the spring. Working parents can always use extra childcare help during spring break days. Get started as a sitter for hire by signing up as a caregiver on Care.com. In just three simple steps, you can find local clients you can offer sitting services to this spring (and beyond!). Kids aren’t the only ones who need springtime care; pets need sitting too. During the spring months, as traveling increases, pet owners may need a little help with their furry friends while away. As a pet sitter, you can offer in-home services where you check in on pets daily or take pets into your own home for 24/7 care. You can directly advertise your services throughout your neighborhood or consider signing up with a professional pet sitting site like Rover. As a service provider on Rover, you can set your rates, accept online payments, and even gain access to valuable resources like 24/7 vet advice and insurance to cover any accidents. With the onset of spring, outdoor spaces start to come back to life after a long winter. You can cash in on all the new spring growth by offering lawn care services ranging from weeding and mowing to mulching and tree trimming. A site like Thumbtack is a great jumping off point if you’d like to start offering springtime services in your area. When you join Thumbtack as a pro, you get access to job inquiries from motivated customers looking to hire immediately, which can help put cash in your pocket more quickly. Every year, homeowners should tackle a number of tasks to keep their homes in tip-top shape. And while these routine services are recommended annually, it’s not always easy to find the time to get them done. From pressure washing to patio furniture cleaning, you can help homeowners check off items from their routine maintenance to-do list. Check out some of the recommended services on Home Advisor and consider signing up as a pro there yourself. You can earn extra money this spring and even continue your services throughout the year! Many people look forward to the spring months so they can get rid of their old stuff to make room for new things. That’s why a lot of retailers often advertise spring sales to help freshen wardrobes, homes, and outdoor spaces. And it’s during these sales and clearance events that you can cash-in on the springtime savings! Simply purchase items at deeply discounted rates and sell them for a profit on sites like Amazon. This process, known as retail arbitrage, is a big business and a great way to make extra cash. To learn more about the ins and outs of flipping products for profits online, be sure to visit The Selling Family. There you can learn how you too can make extra cash reselling retail items on Amazon. The change of season is the perfect time to find a new way to earn extra cash. Less time inside and more time spent out and about means many new opportunities to earn. When spring is in the air, you can cash in by helping others prepare their homes for the warmer months ahead. 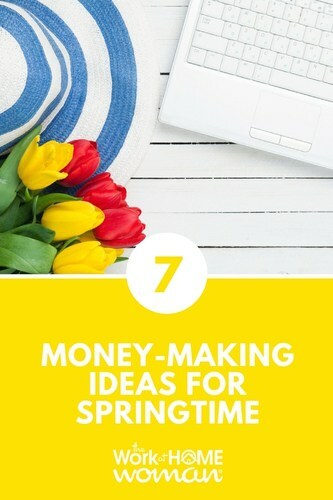 Not only can you capitalize on all the spring fever, but you may also find a side hustle you can carry through all year long. 8 Fun Jobs for Outdoor Enthusiasts – No College Degree Needed! Glad you enjoyed the list of springtime ideas! Are you going to test any of them out? My wife uses Salehoo to work from home and she says she’s never working a 9 to 5 again! Any thoughts on Salehoo?